AMBER LYNN NATUSCH is the author of the bestselling Caged series for adults. She was born and raised in Winnipeg, and is still deeply attached to her Canadian roots. She loves to dance and practice Muay Thaibut spends most of her time running a chiropractic practice with her husband, raising two young children, and attempting to write when she can lock herself in the bathroom for ten minutes of peace. 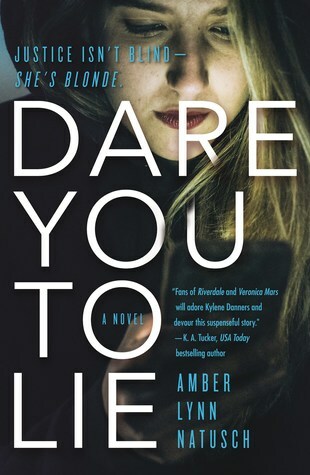 Dare You to Lie is her debut YA novel with Tor Teen.